Hotel Grand Shoba is a tasteful modern hotel with bright and cosy rooms, in Mahipalpur Extension, in Delhi. IGI main road is just a 2-minute walk from the property. 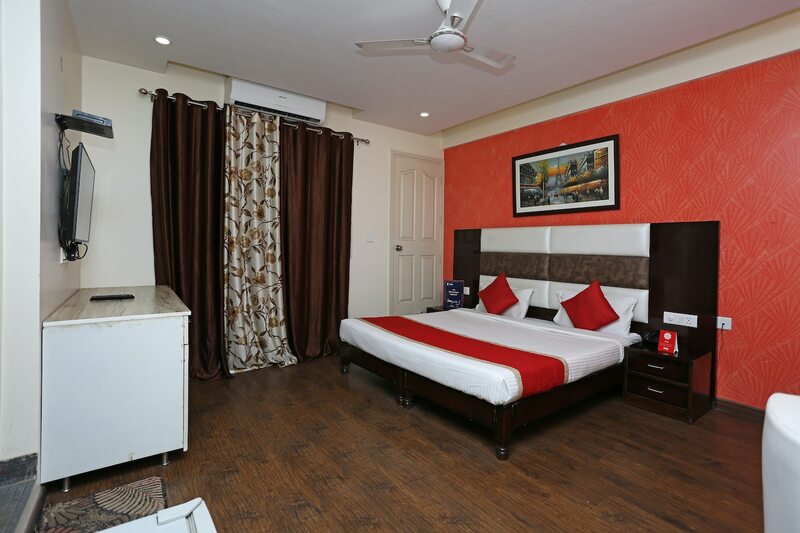 The hotel is also close to Mahipalpur Bus Stop and Delhi Aero City Metro Station. The hotel has a stylish reception and lobby with trendy false ceiling and plush furniture. The rooms are spacious, and while some are done up in warm tones, others are light and bright. Paintings and chic beds add to the appeal. The bathrooms have contemporary tiles and fixtures. All the rooms of Hotel Grand Shoba hotel feature an air conditioner and television. The bathrooms feature geysers. The hotel offers power backup, free Wi-Fi, CCTV security, and laundry service. Saraswati Restaurant and Akira Back are food joints that are closest to the property. You will also find Bella Italia - Holiday Inn, Pluck - Pullman New Delhi Aerocity, JW Lounge - JW Marriott New Delhi.